The average Monster Jam Huntsville tickets at Huntsville will cost you between $61 and $65, if you are looking for the cheapest seats then catch the event being held on 17/03/2019 for only $61. 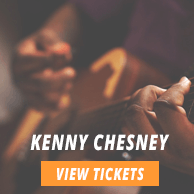 The average ticket will be at its highest of $65, on 16/03/2019. 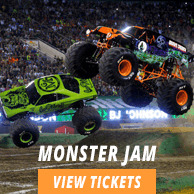 Minimum get in price is for Monster Jam Huntsville tickets at Huntsville is $29 for the event being held on 16/03/2019, there are certain dates that have a much higher get in price, for instance the cheapest seats on 17/03/2019, will set you back $33. Monster Jam is returning to the Von Braun Center Arena with its smashing stunts and gigantic trucks. Every year the arena welcomes hordes of fans that come to witness jaw-dropping tricks and the huge sales of Monster Jam Huntsville tickets indicate another sold out event. Monster Jam keeps getting better and bigger every year. Promising fans unmatched thrill, non-stop action and numerous nail-biting moments, the 2016 trek has returned with a twist. The skilled drivers of these Monster Trucks will now face each other in an endurance showdown of an all new level. Besides driving their loyal trucks, the new format requires them to show off their skills on Monster Jam ATVs and Monster Jam Speedsters, a brand new addition to this motorsports extravaganza. The attendees can expect more racing, more freestyle stunts, more wheelies and donuts and a lot more competitive action. Head to the arena early and attend the famous Pit Party that allows you to meet your favorite drivers and take pictures with the trucks. The recent winners, Grave Digger, Scooby-Doo, Max-D, Monster Energy and Blue Thunder, all will be in attendance at the upcoming event, so plan ahead and buy those tickets right away. Don't forget to bring your ear plugs because double the action means double the noise!